General Motors (GM) announced that it will invest US$ 119-million in tools and equipment to support production of future vehicle components at its Grand Rapids Operations, creating approximately 300 future jobs. 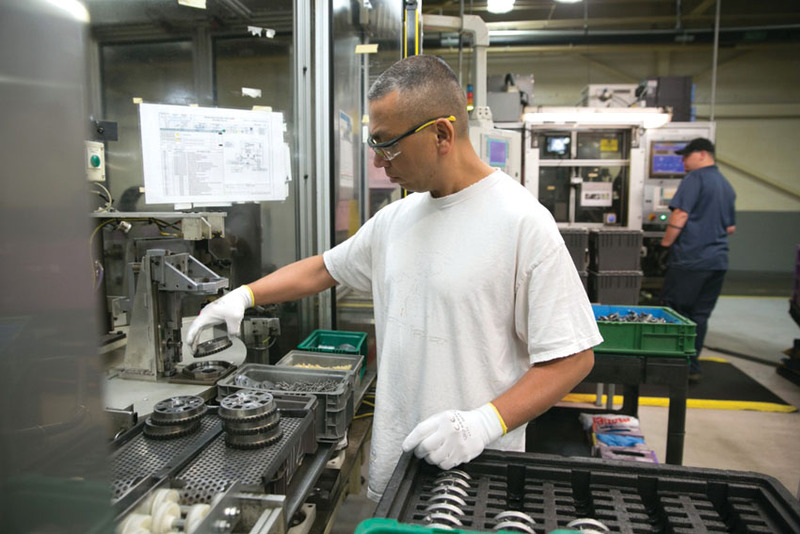 shifts and produces a variety of precision-machined automotive engine components used in Chevrolet, Buick, GMC and Cadillac vehicles. Details about program timing and applications will be released later. "This investment in the future recognizes the excellent workforce at Grand Rapids Operations," said Scott Whybrew, GM North America Manufacturing Manager. "It also demonstrates GM's collaboration with our UAW partnersto innovate and bring tangible benefits to our customers." "By working together, UAW members and GM are making a difference in communities across the United States," added UAW Vice-President Cindy Estrada. "These investments represent the power of our partnership and collective bargaining to create jobs and improve competitiveness, quality and our manufacturing base in this country."